Contact Us: 904-330-0362 or info@werockthespectrumjacksonville.com | Check our class schedule for daily hours or call ahead! 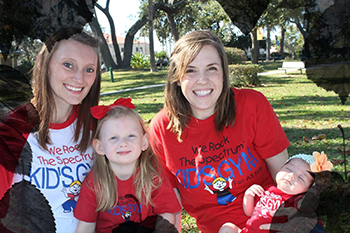 We Rock the Spectrum Kids Gym – Jacksonville is an inclusion gym that welcomes children of ALL ages and ALL abilities! Our sensory-friendly environment house unique sensory equipment that children can flip, jump, bounce, swing, and spin in a variety of directions & speeds! Research has shown that sensory play & development can help a child’s gross & fine motor skills, language development, cognitive growth, problem solving skills, and social interactions! This proves true each day on the big blue mat when children are challenged to share the equipment, figure out how to get on and off of swings, communicate to their partners that they want to swing “HIGHER!”, or even how to successfully calm themselves when they are overstimulated. Allowing children to explore their senses through fun, motivating equipment creates a positive learning experience where they feel comfortable pushing their boundaries! Each experience is different for every child. We invited Quinn back to research one of our most popular (and biggest!) 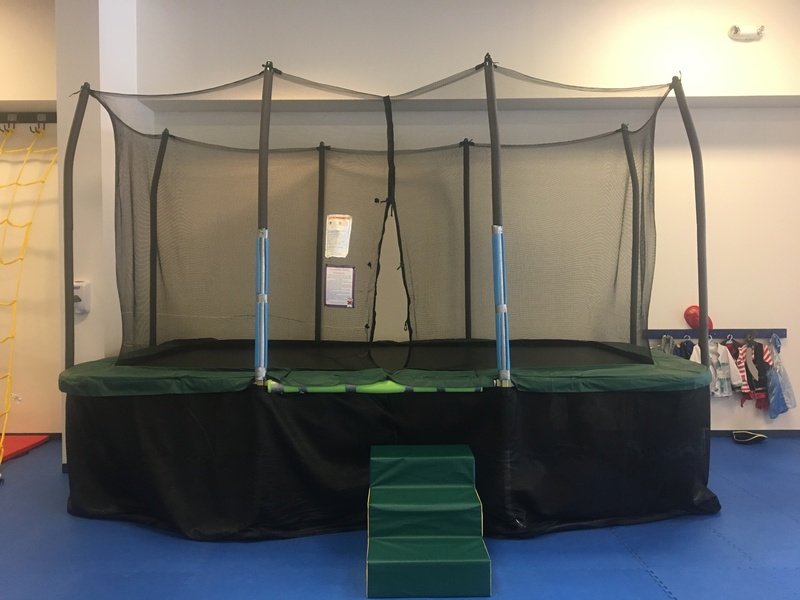 pieces of equipment : The Trampoline! I’m going to talk about the trampoline this time! I research the benefits of the trampoline. What does it feel like to walk on the trampoline? How many people can jump with you? What games can you play on it with them? This has been QUINN727 STUDIOS with a report from WRTS.